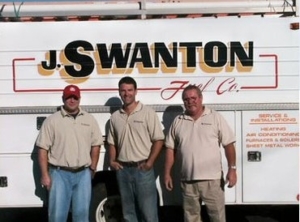 At Swanton Energy Services, we’re more than a team of HVAC technicians. We’re a family—one that flocks together to deliver expert care for your heating and air. From our top-of-the-line products to our fleet of dependable HVAC and energy services, we’re the local HVAC company South Jersey residents have trusted to keep their homes operating smoothly for over 30 years. But what truly sets us apart from the rest is who’s in our nest—and that’s our comfort specialists. You see, our professionals are not only committed to taking your comfort to new heights but, as NATE-certified technicians, our team has the caliber of training and expertise that’s needed to follow through. Under our wings, there’s truly no place like home.